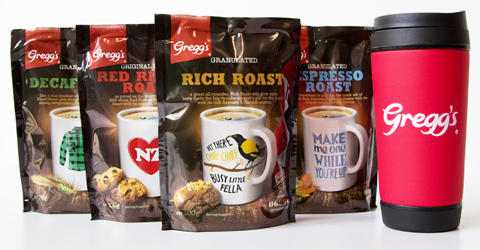 My latest review is on Greggs revamped coffee range with a distinct Kiwiana twist. This is a good middle of the range of coffee for those who don't want to buy the more expensive freezed dried stuff. I'm a freezed dried coffee drinker myself but its nice to have a go at the coffee I remember my mum drinking. Four different flavours here folks so one to suit everybody! Thanks Greggs for the coffee and mug!